I don't live anywhere near LA, but there are venues that are so cool down there! 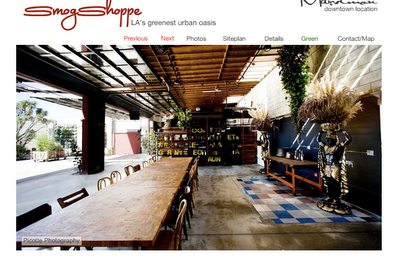 I just came across a mention of the Smog Shoppe, a sustainably reclaimed event venue with personality. Vertical garden walls and hand picked furniture are just a few of the character giving elements of the Shoppe.